Become a witch's brew master as you gather ingredients to mix up these bubbling potions. 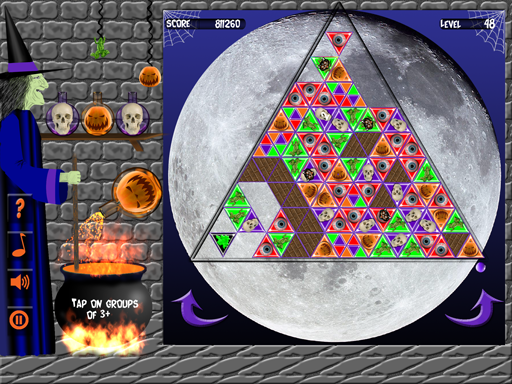 Tap on groups of 3 or more matching tiles to remove them from the board. Tiles matching the vial hovering above the cauldron will help fill the vial. When it is full, it will be poured into the cauldron. 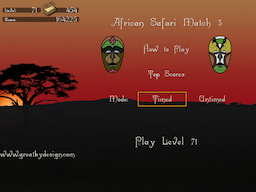 Play in timed or untimed mode. Complete the potion before the board fills with tiles. Rotate the board to keep tiles out of the top row. Endless levels. Game Center support. Enjoy creating delicious trifles by tapping on groups of 3 or more matching fruit to send them into the trifle bowl. New fruit tiles keep falling into the playing field. 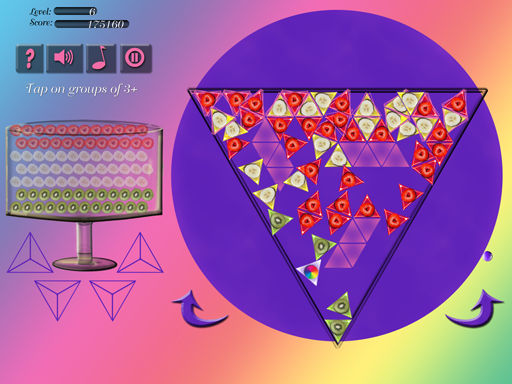 Complete the trifle before the playing field fills up or time runs out (may also be played in relaxed, untimed mode). Rotate the board if tiles are too close to the top and send them tumbling in another direction. Endless levels. Zero calories! Save lost baby animals while on African Safari. Rescue the babies by guiding them to a watering hole. Rotate the board to keep them moving in the right direction. Be rewarded with paint to create your own tribal mask. Play in timed or untimed mode. 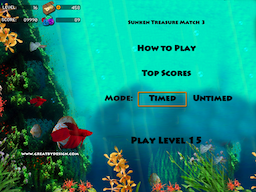 Use your match-3 skills to find gold coins and jewels hidden in the sand beneath the sea. Use the coins to buy power-ups and complete the pendants you find with the hidden jewels. Endless levels of match-3 fun in timed or untimed mode. 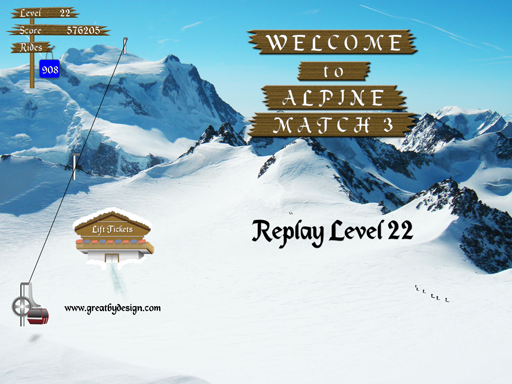 Enjoy endless levels of match-3 play in an alpine setting. While riding up the ski gondola, clear grassy patches, remove avalanche zones and contemplate various alpine activities. 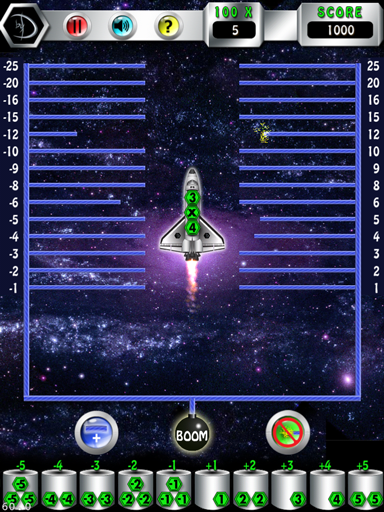 DynaMult is an engaging iPad/iPhone game which gets students to practice multiplication and to solidfy the concepts behind multiplying signed numbers. 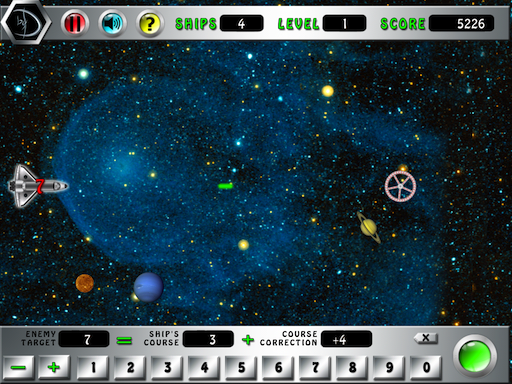 DynaPlus is designed to let students practice addition of positive and negative numbers while playing a space patrol game.